She's Fantastic: Marvel Legends SPIDER-GIRL Revealed! This reveal is my most anticipated retail figure of 2014 so far! 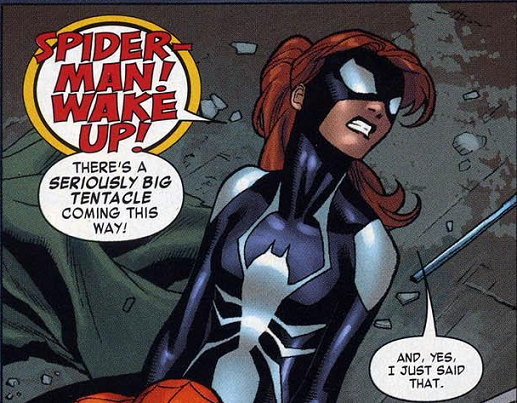 Anya Corazon is the current Spider-Girl in the Marvel Universe (she's the former Araña from Amazing Fantasy). I love this character. Her solo title from 2010 only lasted 8 short issues but I loved it. The art was fantastic, the character development was interesting, and the overall feel was fun. I considered it to be Marvel's version of the Stephanie Brown Batgirl series. 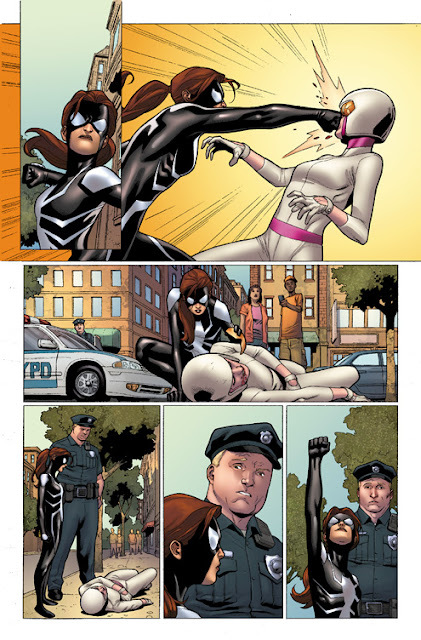 I was very excited recently when Spider-Girl reappeared in the pages of Avengers Assemble (alongside Spider-Woman and Black Widow.. a Spider-Lady trio! 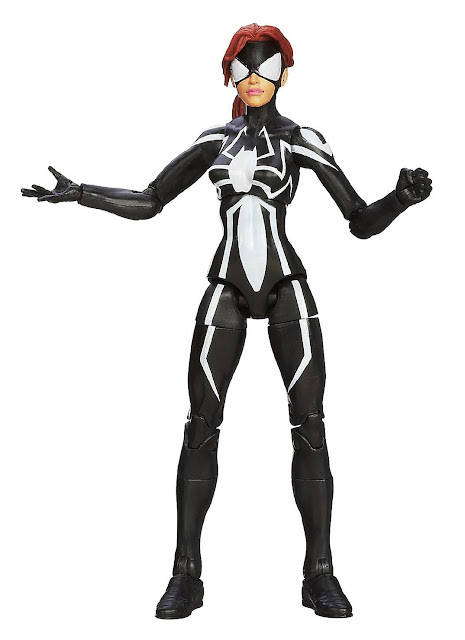 ), and now I'm even more stoked that she's getting an action figure - and an amazing-looking one at that. 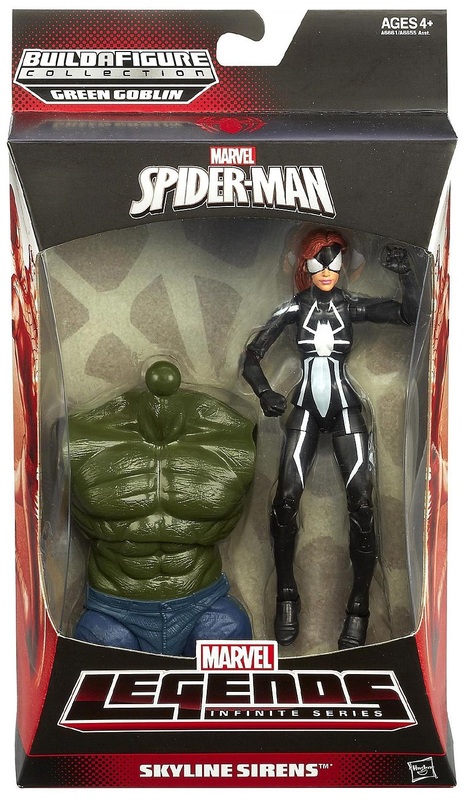 Marvel Legends seems to have rebranded all their lines "Infinite Series" this year (with a focus on Movie themes), and Anya is a variant in the Skyline Sirens slot (partnered with Black Cat) in the Spider-Man themed Green Goblin Build-a-Figure series. These variant slots are notorious for never appearing (Moonstar and Lyra anyone? ), but these in-package shots are giving me a lot of confidence. I can't wait to get my hands on her! 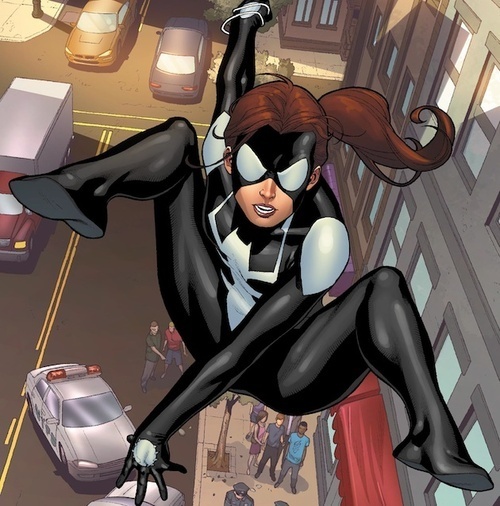 If you want to catch-up on Anya's adventures, the Spider-Girl: Family Values trade collects her entire 8-issue solo series. Oooh nice, I'll be keeping my eyes peeled for this one! She's gorgeous, I absolutely love this body type! I shudder at the memory of "thorax torso" female figures from earlier in Toy Biz's Marvel Legends run. I remember being so excited for early Marvel Legends figures. I felt like complaining about the gawky bodies would be doing a disservice to the hobby. For the first time I'm actually giddy with excitement over what figures we might see in the future!